Learning how to start a promotional company is the first step towards an exciting small business opportunity. A business-to-business (B2B) enterprise, a promotional company plans and implements publicity campaigns for grand openings, product launches, public relations campaigns, and other special events. Promotional companies also sell custom-branded novelty items such as t-shirts, pens, and calendars. The most successful promotion company professionals are highly skilled in marketing methods that help build brand awareness and buzz. While many businesses may attempt basic promotional campaigns in-house, they typically turn to promotion specialists, like yourself, for help in larger or more complex campaigns. Learning how to start a promotional company begins with brainstorming and self-evaluation exercises. Promotion covers a wide scope of services and product offerings. Will you focus on publicity campaigns? Will you sell company-branded promotional products? Evaluating your expertise and planning the types of services and products your company will provide gives you the necessary focus when just starting out. When learning how to start a promotional company, focus on your existing skills and talents. Do you have a business or marketing background? Do you have excellent people skills? Define your strengths. If you lack promotional experience, consider taking classes. You might even consider working for another promotional company to learn the ropes (just keep in mind you may be bound to a non-compete agreement). Finding customers gets easier as you build a track record of successful promotional events. Prospective clients expect results. Company executives are unlikely to pay for your services untried. Build a portfolio of events and publicity campaigns you have profitably promoted. Include client testimonials. Offer discounted services for referrals. If those first clients prove illusive, volunteer your promotional services for worthy charity or fund-raising events. Volunteering your services not only promotes your business, it makes a positive difference in your community. Promote your clients’ businesses as if they were your own. In truth, each campaign or promotion you do for a client is a reflection on your business and skills as a marketing professional. Analyze and refine your promotional techniques. Experience will teach you what works best and what doesn’t. Focus on successful methods but don’t be afraid to try new things. Thoroughly research your client’s services or products. Investigate the techniques and results of past campaigns, whether you planned them or not. Get to know your client inside and out. Knowledge gives you the tools to create unique, targeted promotional campaigns that work. Have an organizational system in place. 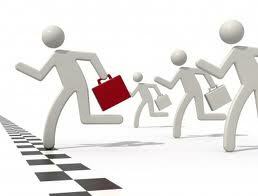 A promotional company business owner is under constant deadlines. Promotional events, merchandise orders, and media advertising submissions all have strict timetables. Missing a deadline can mean substantial business and monetary losses. Ensure that there is some kind of software system in place to keep track of your deadlines and client obligations.